We’re so excited about our fall 2018 spirit wear offerings! Note that spirit wear orders and payments are due back to school by Wednesday October 24, 2018. Spirit wear will be delivered to your student by the first week of December. Thanks for your support! 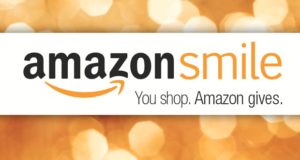 Amazon will donate to GES PTA every time you shop! Just be sure to use smile.amazon.com and choose Guilford Elementary School PTA in Columbia, MD as your charity. Copyright © 2019 Guilford Elementary School PTA. All Rights Reserved.